All Things Katy! : Congratulations, Christa and Paul! 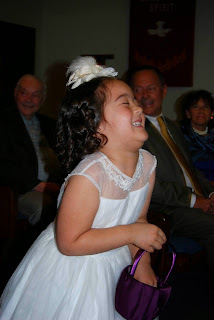 White, frilly dress... peep-toe, sparkly high "heel" shoes.... Lil' Miss was in HEAVEN!! 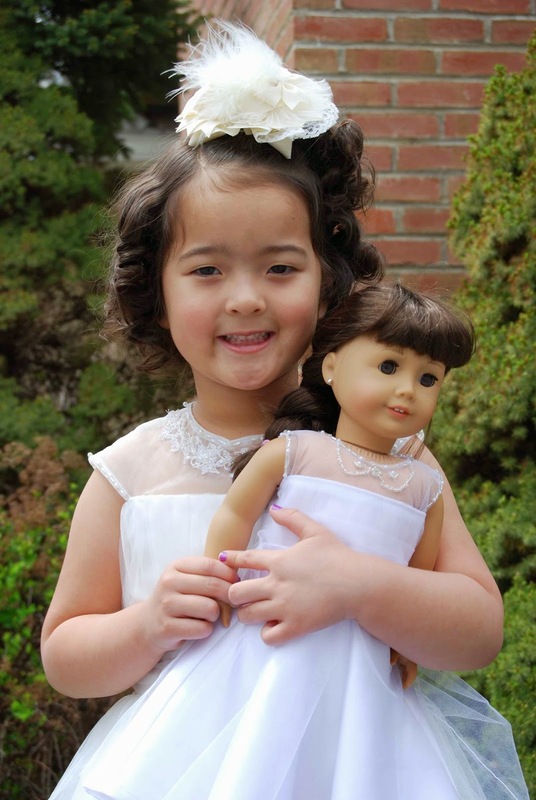 A matching dress for Samantha!! Katy was just a *wee* bit excited to be a Flower Girl!! 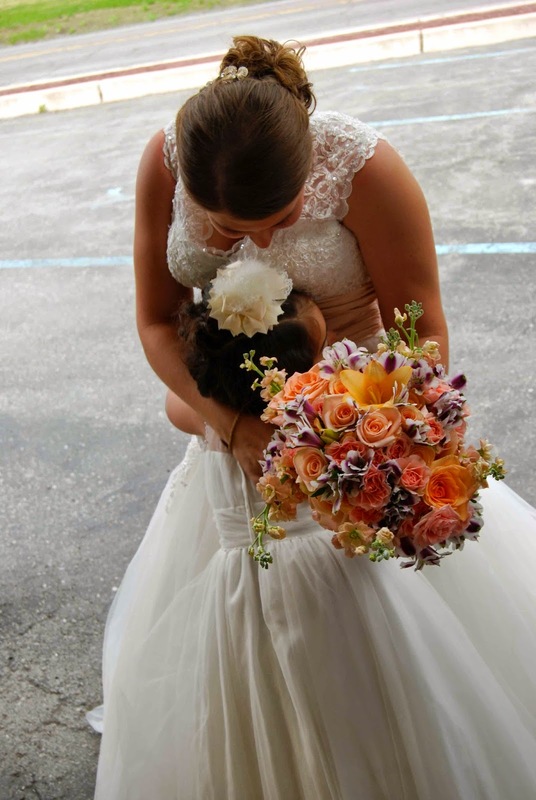 The beautiful Bride and the Flower Girl! It was definitely a fun weekend and we were definitely WELL fed, all weekend long!! Both Ted and I agree that it was the BEST food we've ever had (or will have) at a wedding. Rehearsal dinner, alone, included lots of Italian favorites- meatballs, caprese salad and my personal favorite, eggplant! The reception dinner did not disappoint- between the raw bar, the butlered horderves and the prime rib duet dinner- we ate quite well! 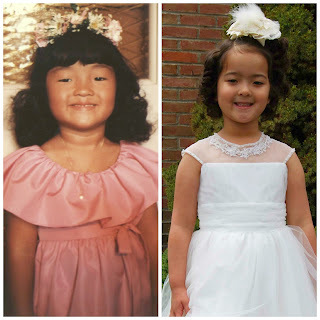 However, this wedding held special significance because Katy was the FLOWER GIRL!! 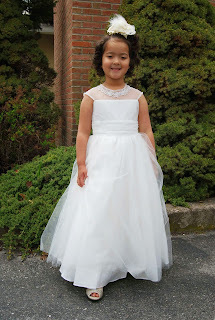 White, frilly dress with layers and layers of tulle.... a dream come true for Lil' Miss!! I'll let the pictures speak for themselves, but I will say that Katy tossed the petals with viver and thoroughly enjoyed dancing the night away! !We all had a great time! Congratulations, Christa and Paul!!! Thank you so much for including Katy in your special celebration!! We wish you a lifetime of happiness, laughter and love!